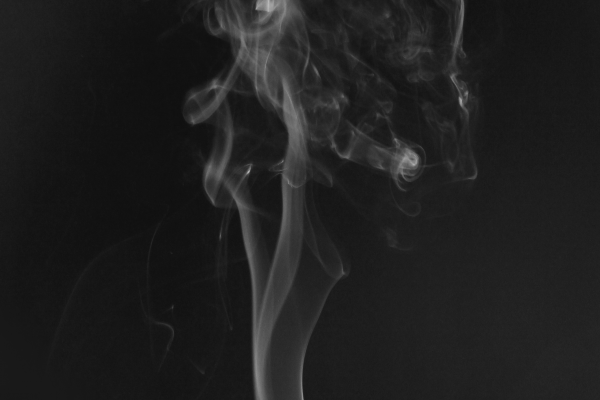 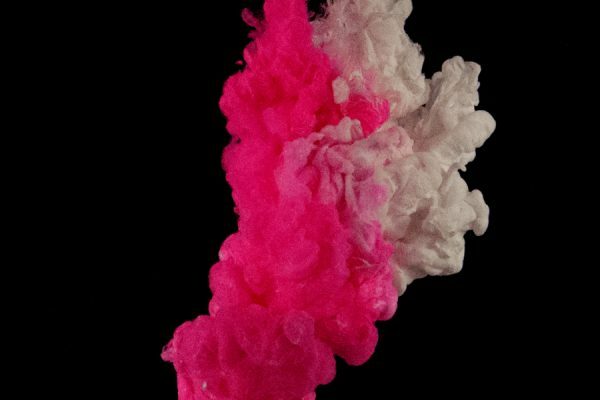 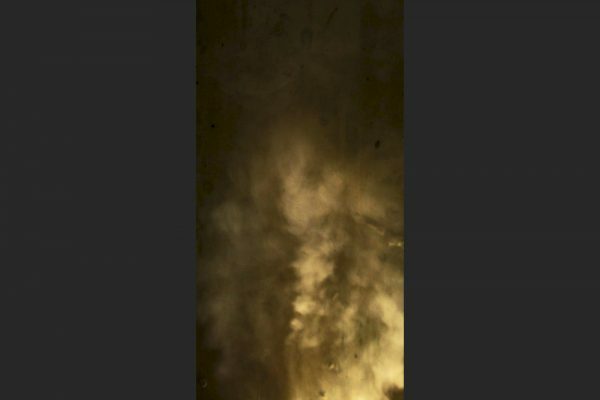 A turbulent jet from a fog machine impinges obliquely on a wall. 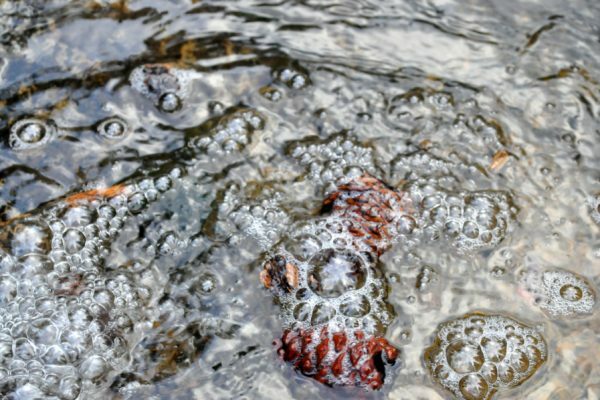 Bubbles are generated from the turbulence of a small waterfall in a mountain stream. 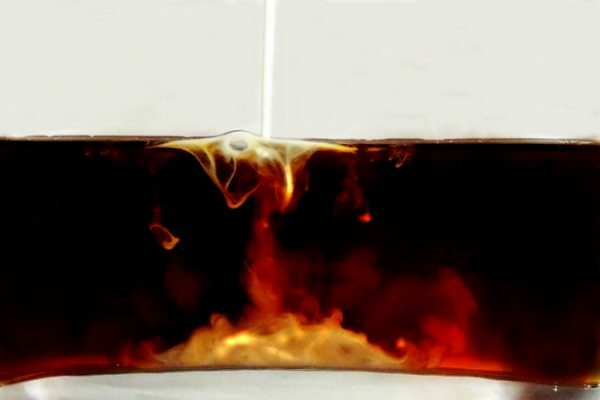 A stream of creamer entering coffee splits_ some remains on the surface due to surface tension effects, while the bulk impacts the bottom. 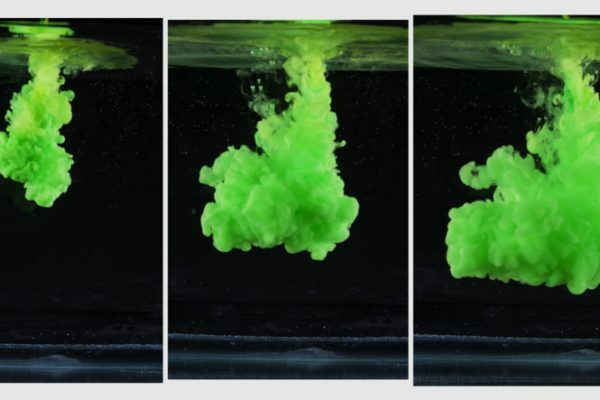 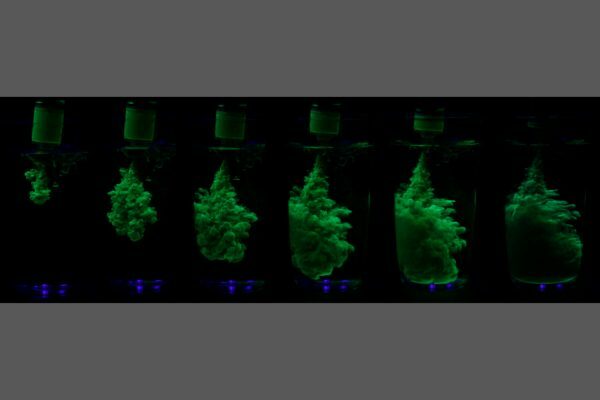 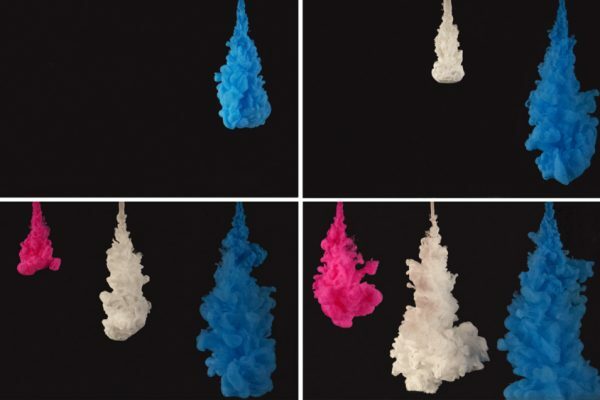 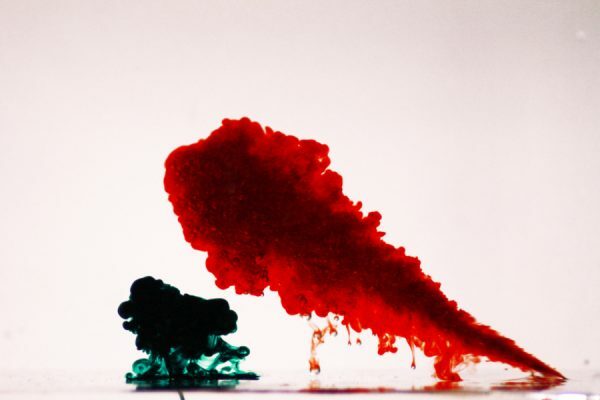 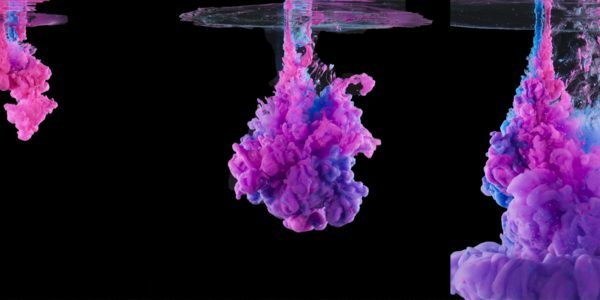 Food dye rapidly injected into water forms turbulent plumes, shown upside down here.